The linear nature of the knit line mirrors a narrative arc in Family Tree. 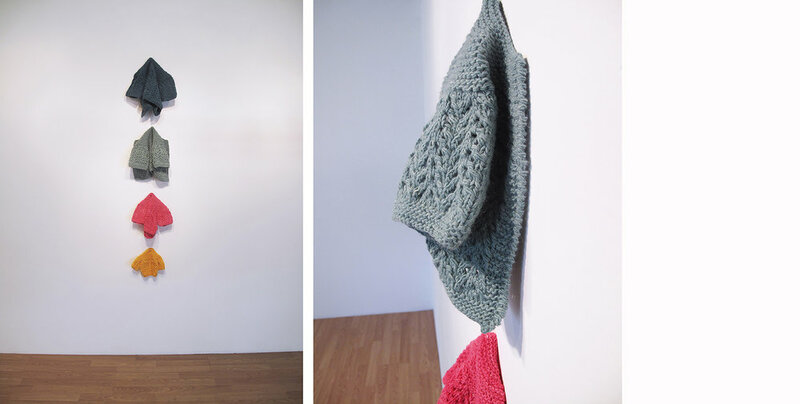 Hand knit and hand dyed, the four small sweaters reference my father's coat rack and my childhood perspective of it. 50 x 12 x 3 in. Hand dyed and knit wool.